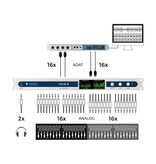 With the Pulse16 we are continuing our tradition of high quality but affordable AD/DA converters. 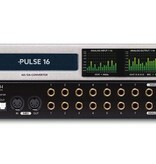 The Pulse16 offers 16 x16 fully balanced analog inputs and outputs and processes levels of up to +20 dBu in professional studio quality. 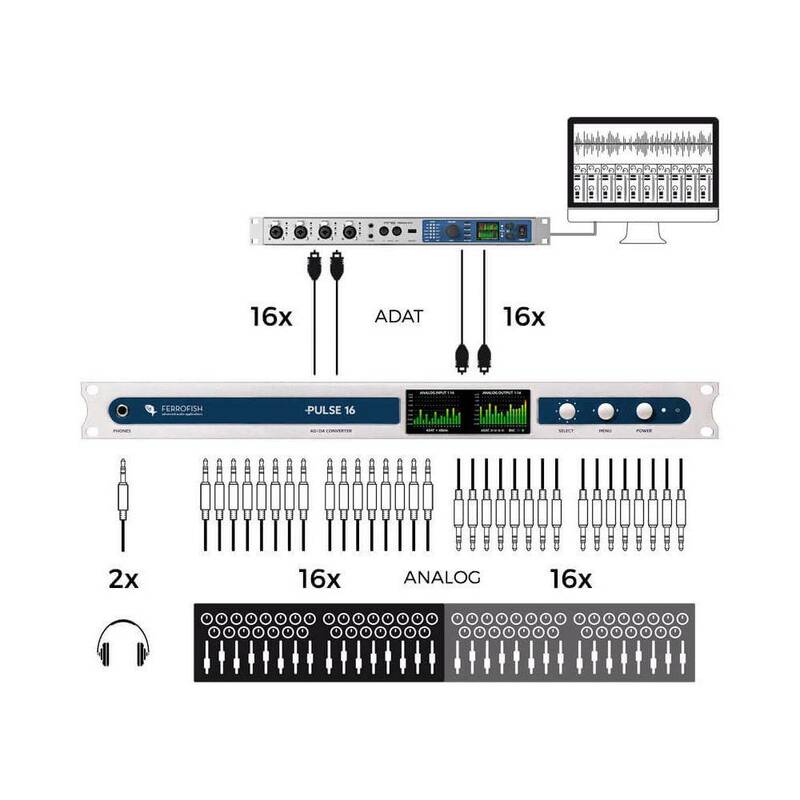 Four ADAT I/O ports are available as digital interfaces, so that all 16 x16 analog channels can still be used even at 96 kHz. Headphones: 1 x ¼” (6.3mm) TRS jack, stereo. Selectable mono or stereo source. Digitally controlled volume level. PLL: Digitally controlled PLL with active jitter reduction. Output jitter: 50ps ... 100ps typ.